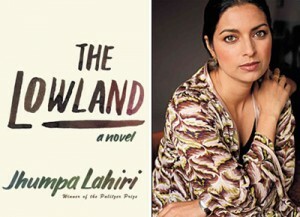 Pulitzer Prizing winning author Jhumpa Lahiri, with her new book, “The Lowland” (Random House) Sept. 2013, paperback and ebook. Jhumpa Lahiri’s latest novel, “The Lowland,” reminds her devoted readers why she has quickly become one of the most admired Asian American writers in the world. The novel is historical fiction which captures the impact on one family of India’s twentieth century Naxalite movement, immigration, and evolving concepts of family. Subhash and his younger brother Udayan are born just after end of the Second World War. The brothers grow up in a modest Calcutta household, where they are expected to succeed and support the family. They develop such an intense bond Subhash remembers time from the moment his brother was born. Udayan one day leaves his footprints in wet concrete on their family home footpath. His parents allow Udayan’s footprint to remain, symbolizing Udayan’s defining impact on his parents as well as his devoted brother. A Book Review by Rachel Kunjummen Paulose. Both brothers excel in their studies. Subhash specializes in chemistry, while Udayan excels in physics. Both brothers also remain in the family household, as is customary in tradition bound India. Subhash goes on to pursue his doctorate. With his college degree, Udayan chooses to tutor the neighborhood children. Secretly, and ultimately not so secretly, he becomes a community activist in the emerging Naxalite movement. The Naxalite movement in India, comprised largely of dissident Communists, was inspired by Mao Tse-tung. The movement gained a foothold in parts of India about 1967. As described by Lahiri, the government took aggressive steps to stamp out the Naxalites after the movement embraced violence. In the midst of this social upheaval, Subhash decides to continue his studies in the United States. 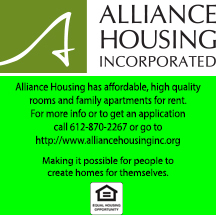 He makes his home and career in Rhode Island. He finds success but not true love. His friends are few. Meanwhile in India, Udayan elopes with Gauri, a woman of whom his parents do not approve. He increasingly devotes his energies to political causes, including by endorsing violent means to overthrow the government. After Udayan helps kill a police officer, the police fatally shoot Udayan at the family house, in front of his parents and pregnant wife. Unbeknownst to the rest of the family, Gauri also assisted in the conspiracy to kill the fallen officer. Subhash returns to India and marries his brother’s widow, enraging his parents. Subhash brings Gauri back to the United States. Subhash raises his dead brother’s daughter, Bela, as his own child. However, Subhash never possesses the family he so dearly desires. One day an increasingly detached Gauri simply deserts Subhash and Bela to pursue her own professional path. Subhash loyally raises Bela as a single parent, but the child is never the same. Subhash does not disclose to Bela the truth about her family until an adult Bela returns one day with the announcement that she is pregnant. Bela has no intention of marrying the father of her child. Bela asks her father if she may move back home with him. Subhash is mortified his adopted daughter is recreating for Subhash the role he provided to her mother. Ever dutiful, however, he welcomes Bela back. The confrontational climax of the book revolves around the choices Bela makes regarding how she will structure her own family life. The trajectory of the book is largely defined by Udayan’s death. Sadly, Udayan’s death causes those he loves to bury themselves alive. They wait for death but endure the dry season building lives around their offspring. Subhash, a formerly devoted son, virtually abandons his parents. Subhash’s housebound parents abandon life. Gauri abandons her husband and child. Bela retreats from her father, dropping in on occasions, most notably when she needs his money and shelter. For the greater part of the narrative, none of these characters develops any deep relationship with another human being. This disengagement haunts each character through the book’s affecting conclusion. Lahiri has a gift for capturing the unspoken understandings, unique idiosyncrasies, and true treasures of the shared Indian American immigrant experience. Though her characters are typically highly educated and accomplished Bengali immigrants who settle in the northeast United States, and India is one of the most ethnically diverse nations on earth, Lahiri writes with a keen perception of the ties that bind a common culture. The primacy of family, the emphasis on educational and professional success, and the willful sublimation of desire to duty are all subtly and consistently portrayed in this book, as well as in her prior works. Lahiri’s latest novel adds to the Pulitzer Prize winner’s growing reputation.